Our classroom Christmas art was a messy success. Oh the cuteness! The third graders agreed with me- You're never too old for finger painting! 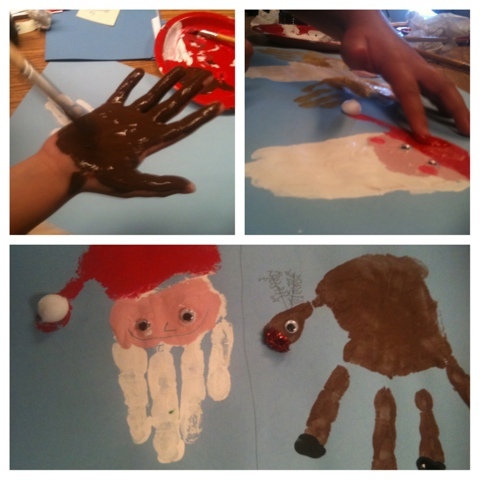 They had so much fun turning their hand prints into creative holiday images. 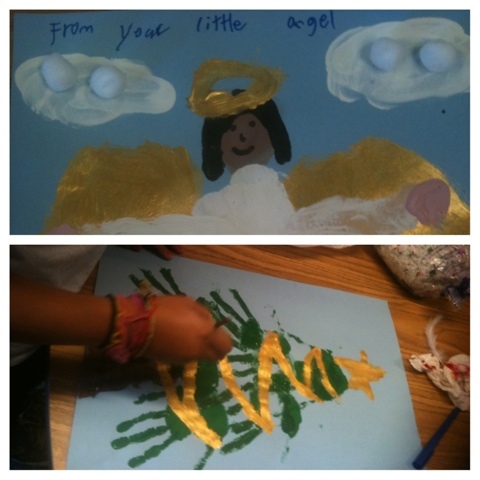 Santas, reindeer, snowmen, angels and doves decorated the classroom. 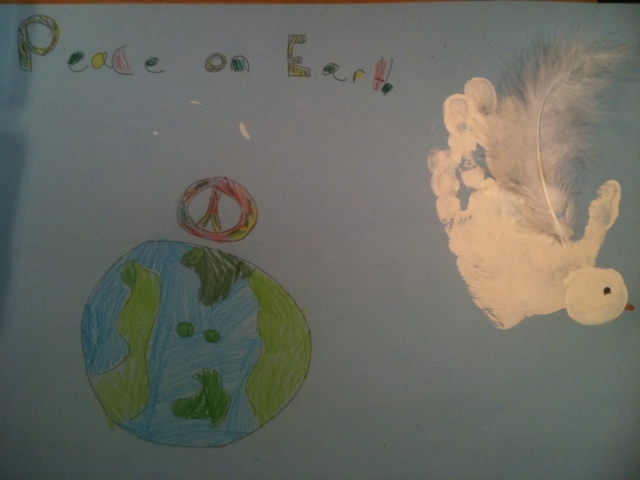 The kids even added sweet sentiments to their cards and posters, and began coming up with writing ideas to extend the art projects. 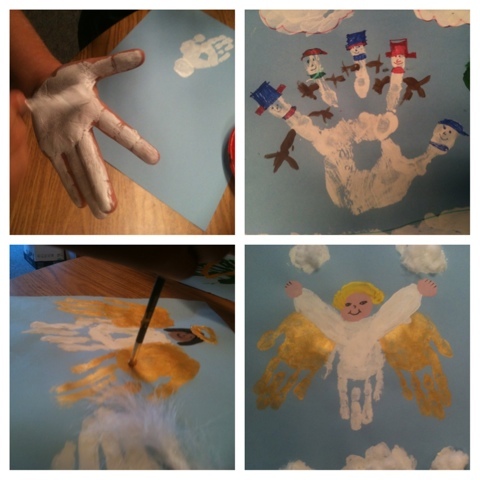 I adore creating with kids!